Today’s review is about Kim Denzler trunks. To begin with, a few words about the brand. Kim Denzler is a Swedish company founded in 2009. 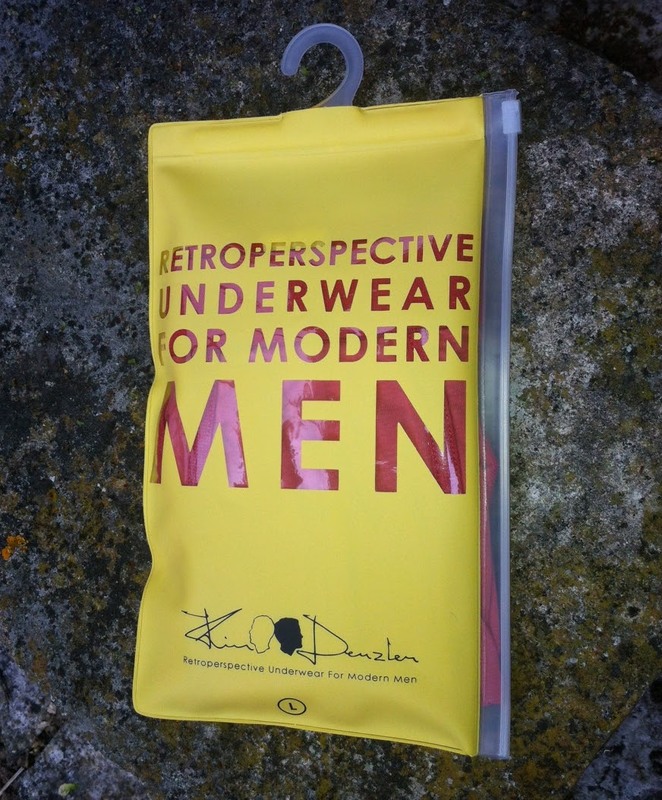 Three years of production development led to the creation of a distinctive “retroperspective” underwear style. Kim Denlzer is all about comfort, elegance, quality and a clean-cut look. The designer and owner of the brand is Kim Sjögren. A Swede who sees himself as a true vagabond, one who goes “his own way”. This approach has taken him all over the world, sometimes with no money and just trusting in his charisma and other people’s kindness! In 2001, in Bangkok, with no place to stay and without the fare to return to Sweden he was street cast as a model for a European commercial. This led to a modelling career during which he learned a lot about the fashion industry and realised that he wanted to make his own mark in fashion. He returned to Sweden and went to the Textile School of Science, with the idea in mind of starting his own fashion label. Overall, the Bleached Lava trunks by Kim Denzler are a great pair of underwear. I loved the distinctive colour which stands out in my underwear drawer and the feel you get wearing it under a pair of jeans. Retro and stylish in a good quality fabric with a nice fit. Something a bit different for your top drawer. Weekend Feast with Santiago Ferrari, Rafael Gouveia, Spring sale at Dsquared2 and more!